Max Papis picked up the 5th last-place finish of his NASCAR Sprint Cup career in Sunday’s 17th Annual Brickyard 400 at the Indianapolis Motor Speedway when his #13 GEICO Toyota lost the engine after 15 of the race’s 160 laps. Papis, a two-time starter of the Indianapolis 500, rebounded from a DNQ in 2009 to qualify 35th for Sunday’s race at a speed of 178.621 mph. In practice the day before, the car was even faster: not only the top car outside the Top 35, but 3rd-fastest overall behind front-row starters Juan Pablo Montoya and Jimmie Johnson. In the early stages of Sunday’s race, it appeared that Elliott Sadler would have his first Cup last-place finish since the 2008 Kobalt Tools 500 at Atlanta. Sadler was one of four cars that sustained serious damage in a multi-car wreck off turn two during the opening lap. When the race restarted, several cars had tire problems while others overheated due to wet infield grass dislodged during the lap 1 crash. Papis was likely overheating on lap 16 when his engine suddenly blew, starting a small fire beneath the car as it entered the backstretch. Robby Gordon’s car then exploded a right-front tire in an unrelated accident, bringing out the second caution of the race. Neither Papis nor Gordon were injured, but both were eventually done for the day. When Sadler returned to the race 105 laps down, it was Papis who fell to 43rd. 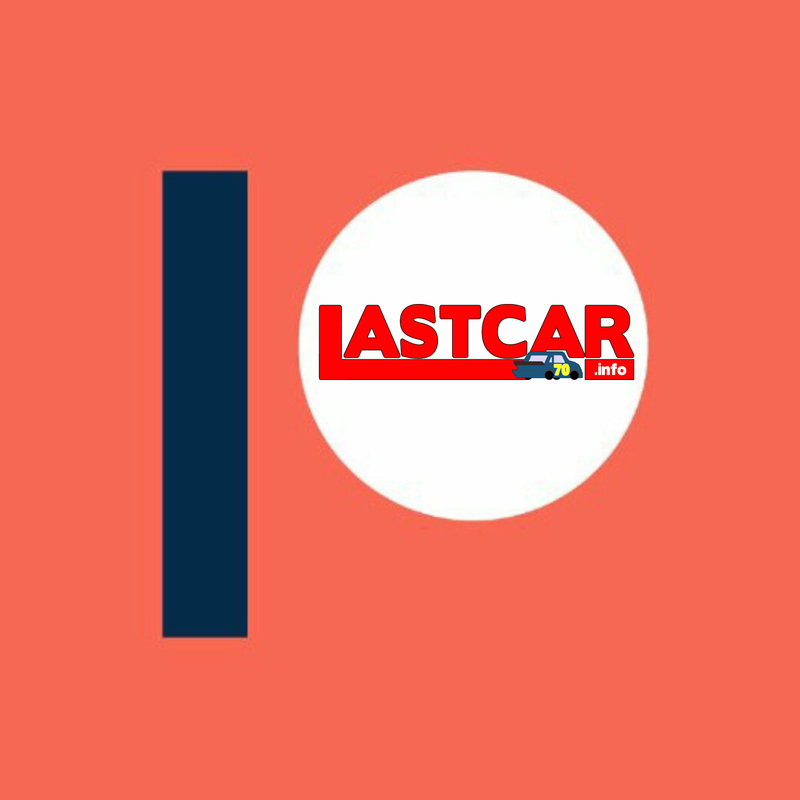 With the finish, the 2010 LASTCAR Cup standings have tightened-up even more. 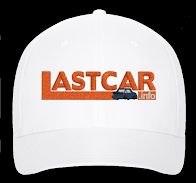 Both Papis and defending LASTCAR Cup Champion Dave Blaney are one finish away from tying Joe Nemechek for the lead in both the owner and driver standings. Though not involved in the lap 1 accident, both Blaney and teammate Michael McDowell went to the garage during the ensuing caution, but returned to the track for a handful of laps before finishing 41st and 42nd. Nemechek finished 40th, having stayed out to lead a lap under yellow along with 39th-place Landon Cassill in #71. Sadler ran just enough laps to finish ahead of all five of them and come across the line 38th. *Neither Papis, Germain Racing, nor the #13 had ever finished last in the 16 previous Cup races at Indianapolis. *Interestingly, no Cup driver had ever finished last at Indianapolis with an engine failure since Kenny Wallace’s #81 Square D Ford lost his 65 laps into the 1998 Brickyard 400. 10 of the 17 races run at this track had last-place finishers who fell out in early crashes. 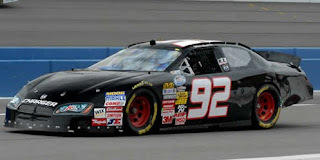 Dennis Setzer picked up the 11th last-place finish of his NASCAR Nationwide Series career in Saturday’s Kroger 200 at O’Reilly Raceway Park when his unsponsored #92 K-Automotive Motorsports Dodge fell out with brake problems after 7 of the race’s 201 laps. Setzer qualified 41st for the race at a speed of 105.828 mph. Along with the rest of the field, he was locked-in due to the 43-car entry list. Setzer fell out of the race during the opening green-flag run on lap 8, and for the second time in three races, was followed there one lap later by Johnny Chapman in Morgan Shepherd’s #89. 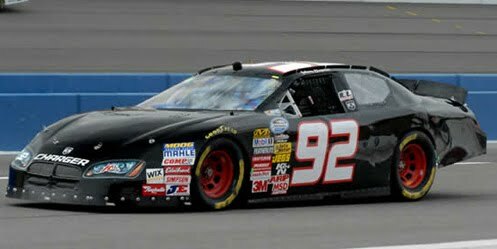 Setzer has now finished last in more Nationwide Series races this season than Chapman did driving for MSRP Motorsports during the entire 2009 campaign. Setzer is also just one finish away from tying Chapman, Tommy Houston, and Brad Teague for the third-most last-place finishes in Nationwide Series history. Only Jeff Fuller (24) and Ed Berrier (13) have more. 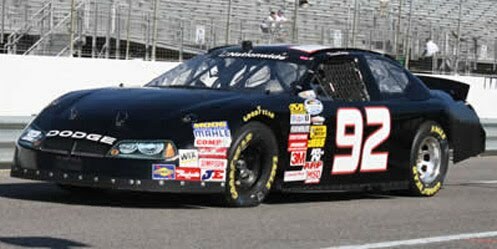 *The #92 had not finished last at ORP since Larry Pearson’s Stanley Tools Chevrolet crashed out 18 laps into the 1995 Kroger 200. *Neither Setzer nor K-Automotive Motorsports had ever before finished last at ORP. 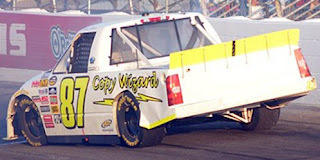 Chris Jones picked up the 3rd last-place finish of his NASCAR Camping World Truck Series career in Friday’s AAA Insurance 200 at O’Reilly Raceway Park when his #87 Copy Wizard Chevrolet was involved in a single-truck accident on lap 7. Jones qualified 20th for the race at a speed of 106.549 mph, fourth among the “go-or-go-home” drivers, but was forced to start in the back for missing the driver’s meeting. Unfortunately, things did not go much better in the race when he lost control of his truck in turn one and hit the outside wall, ending his night. Current LASTCAR Truck Series leader, who moved to teammate Shane Sieg’s #39, finished 35th when he fell out with electrical problems under the ensuing caution. *The finish was the first for Jones in more than two years, dating back to when he fell out with a vibration two laps into the 2008 Qwik Liner Las Vegas 350 at Las Vegas. At the time, Jones was driving for the #0 team that racked-up a series-leading 13 last-place finishes in the 2008 Truck Series season. Interestingly, Jones was the only driver to finish a Truck race for the team that year when he finished 10 laps down in the 2008 Kroger 200 at Martinsville. *Jones had never before finished last at ORP; his only other last-place finish in the series came in the 2008 Cool City Customs 200 at Michigan. *It was only the second time in Truck Series history that this number has finished last, dating back to when the late John Nemechek lost an engine on his Burger King Chevrolet 3 laps into the 1995 Pizza Plus 150 at Bristol. Mark Green picked up the 9th last-place finish of his NASCAR Nationwide Series career in Saturday’s Missouri-Illinois Dodge Dealers 250 at the Gateway International Raceway when his unsponsored #49 Jay Robinson Inc. Chevrolet fell out with electrical problems after completing 2 of the race’s 200 laps. Green qualified 30th at a speed of 130.905 mph, beating eight other teams that were not locked-into the field on Owner Points. In the race, Green went behind the wall first on a night where the entire Bottom Five failed to complete more than eight laps. Nationwide Series leader Dennis Setzer fell one lap short of securing his 9th finish of 2010, having also finished next-to-last in the Truck Series race that same day. Johnny Chapman, who edged Setzer in the Truck race, finished 40th. *This was owner Jay Robinson’s first last-place finish in the 2010 Nationwide Series schedule; the team’s most recent last-place finish also came with Green in last fall’s O’Reilly Challenge at Texas. 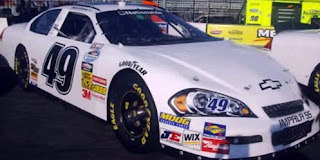 *Robinson’s #49 had not finished last in a Nationwide Series race at Gateway since Kertus Davis pulled behind the wall after the first lap of the 2008 Missouri-Illinois Dodge Dealers 250, which was also won by Carl Edwards. *With the finish, Mark Green becomes the first driver other than leader Dennis Setzer to finish last more than once in 2010. However, since Green’s other finish at Charlotte came with Mary Louise Miller’s #70 team, no team has more than one last-place finish in 2010 other than K-Automotive’s #92. Joe Nemechek picked up the 22nd last-place finish of his NASCAR Sprint Cup Series career in Saturday’s Lifelock.com 400 at the Chicagoland Speedway when his unsponsored #87 NEMCO Motorsports Toyota fell out with rear gear problems after 20 of the race’s 267 laps. Nemechek started out as the weekend’s biggest surprise when he turned in the fastest speed in Friday’s opening practice session. Unfortunately, the speed did not attract any sponsors, and the #87 was only 28th in qualifying at a speed of 180.929 mph. Before Saturday’s green flag, Nemechek fell to the rear along with two other unsponsored teams - Casey Mears in Tommy Baldwin’s #36 and Mike Bliss in Braun Racing’s #32 - who were also among the top ten in the first practice session. By the time leader Jimmie Johnson started lapping cars on the 20th circuit, Nemechek was behind the wall, followed by Mears, Bliss, and Papis in the following 30 laps. For the third time in 2010, both PRISM Motorsports cars failed to qualify for the race, including the #66 of defending LASTCAR Sprint Cup champion Dave Blaney, who again trails Nemechek by one finish in both the Driver and Team Rankings. 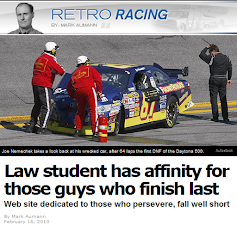 *The finish ties Nemechek with his part-time teammate Jeff Fuller for 4th in the all-time LASTCAR rankings. Nemechek is also just four finishes away from tying Derrike Cope for 2nd in the all-time Cup Series rankings. *Nemechek had not finished last in five races, dating back to last month’s Gillette Fusion ProGlide 500 at Pocono. *Nemechek and the #87 had never before finished last in a Cup race at Chicago, nor had any Cup driver finished last there because of a rear gear problem. Dennis Setzer picked up the 10th last-place finish of his NASCAR Nationwide Series career in Friday’s Dollar General 300 powered by Coca-Cola at the Chicagoland Speedway when his unsponsored #92 K-Automotive Motorsports Dodge fell out with ignition problems 3 laps into the 203-lap race. Setzer just squeezed into the field for Friday’s race, securing the 43rd and final starting spot at a speed of 173.986 mph. The run bumped Jeremy Clements’ #04 out of the field by just two tenths of a second, sending Clements home along with three other teams, including Setzer’s owner, Brian Keselowski, in his #26. Setzer fell out three laps into the race, followed one lap later by Johnny Chapman, who drove for his sixth different team in as many Nationwide Series starts in 2010. Chapman’s most recent last-place finish came while driving Setzer’s #92 at Bristol, which tied him with Tommy Houston and Brad Teague for third in the all-time Nationwide Series rankings. Setzer, meanwhile, has not only moved up to 5th, just two finishes behind Chapman, but has tied Chapman’s 2009 season total of eight last-place finishes during his time driving for MSRP Motorsports. It took Chapman 31 races to reach that mark, but only took Setzer 18. *This is the first time in Nationwide Series history that both Setzer and the #92 have finished last at the Chicagoland Speedway. It is also the second-straight year a driver finished last because of ignition problems: Mark Green’s #49 had that happen after one lap in 2009. Mike Garvey picked up the 4th last-place finish of his NASCAR Camping World Truck Series career in Sunday’s Lucas Oil 200 Presented By Speed at Iowa Speedway when his #93 S&W Towing Chevrolet fell out with brake problems 5 laps into the 205-lap event. Garvey qualified 30th for the race at a speed of 127.541 mph, eighth-best of the twelve drivers not locked-into the field based on Owner Points. 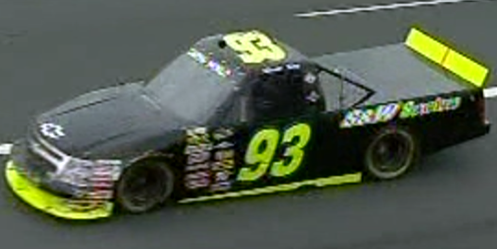 Chris Lafferty’s #89, still ranked 2nd in the Team Rankings, was the only truck that failed to qualify. *Garvey’s three last-place finishes in 2010 have all come in the last four Truck Series races. 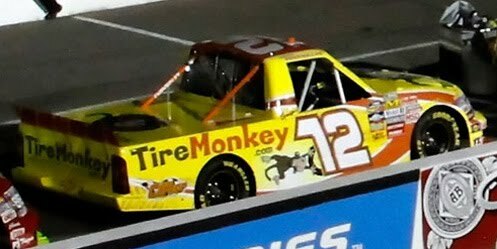 *A driver had not finished last in a Truck race with brake problems since Terry Cook’s #02 Koma Unwind Chevrolet fell out three laps into last November’s Lucas Oil 150 at Phoenix. Dave Blaney picked up the 17th last-place finish of his NASCAR Sprint Cup Series career in Saturday’s Coke Zero 400 at the Daytona International Speedway when his unsponsored #66 PRISM Motorsports Toyota fell out with transmission problems after 4 of the race’s 166 laps. Friday’s rained-out qualifying session left Blaney in the 43rd and final spot, having edged teammate Michael McDowell’s #55 in the Owner Point standings weeks before this race. Still without sponsorship, Blaney pulled behind the wall four laps in, followed two laps later by Max Papis, ending the Italian’s three-race streak of Cup last-place finishes. Joe Nemechek, now tied with Blaney for the 2010 lead, had acquired full sponsorship from HostGator.com and England’s Stove Works, but the car was unable to completely adjust from qualifying trim and fell out 38 laps into the race. *It was the second straight year that Blaney finished last in this race driving PRISM’s #66. *Blaney’s most recent last-place finish came back in May’s Coca-Cola 600, five races ago. *With the finish, Blaney is now tied for the 5th-most last-place finishes in the history of the Cup Series, joining Buddy Baker, Jimmy Means, Morgan Shepherd, and Cale Yarborough. *Other than Johnny Sauter (Dover) and Aric Almirola (California, Las Vegas), every Cup last-place finisher in 2010 was driving a Toyota. Jennifer Jo Cobb picked up the 3rd last-place finish of her NASCAR Nationwide Series career in Friday’s Subway Jalapeno 250 at the Daytona International Speedway when her #27 DriverBoutique.com Ford was involved in a two-car crash after 5 of the race’s 102 laps. Cobb and Kenny Wallace were the only two cars unable to make qualifying runs for Friday’s race, leaving the two 41st and 42nd in the field based on owner points. One spot ahead of Cobb was Mike Curb teammate Johnny Chapman in an unsponsored #43. Unfortunately, Cobb was unable to handle how loose her new car got in the draft, sending her in a spin through turn four that collected Chapman in a fiery crash. Both drivers escaped unscathed, but Mike Curb’s cash-strapped operation will likely have to suspend its Nationwide teams for the next few weeks. Cobb will focus on her remaining season in the Camping World Truck Series. 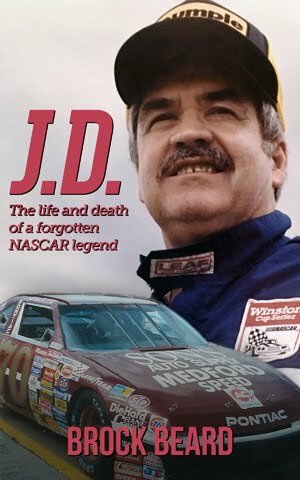 Chapman remains one finish short of 2nd in the all-time Nationwide Series LASTCAR rankings. Friday marked the on-track debut of the Nationwide Series’ “next-generation” chassis, limiting the entry list to just 44 teams. Noticeably absent were LASTCAR leaders K-Automotive Motorsports and Dennis Setzer, who apparently were unable to accrue enough funding to secure their own new car. Team owner Brian Keselowski was also without a ride; the #26 was driven to the outside-pole by Parker Kligerman with Bob Keselowski as the listed owner. *Cobb had not finished last in this series since a lap 25 crash took her out of the 2006 Yellow Transportation 300 at Kansas. 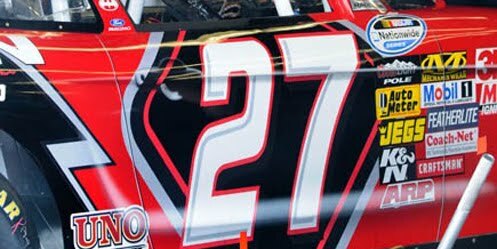 *The #27 had not finished last in this series since Johnny Sauter crashed after the opening lap of the 2004 Aaron's 312 at Atlanta. Cobb’s first Nationwide Series last-place finish came just three races later at Homestead.